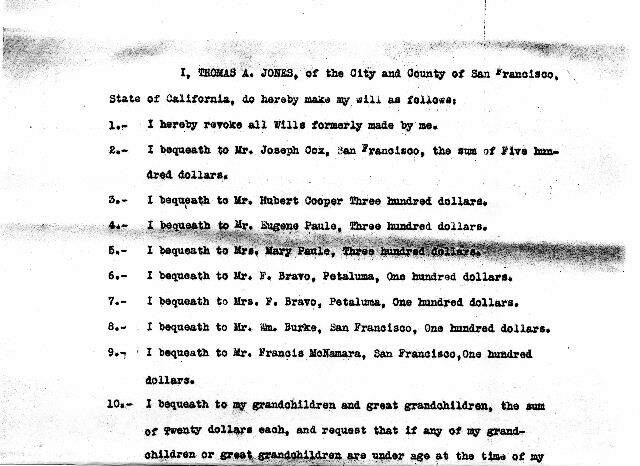 This is the will of Thomas Augustine Jones who died in 1923. 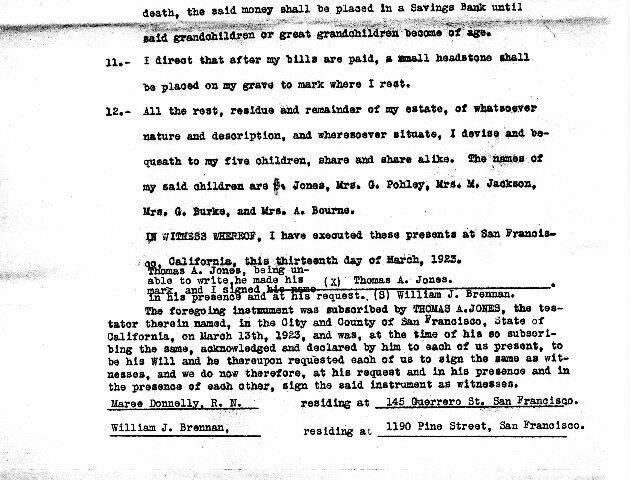 The probate file is several pages long, so I’ll post the last page which is his actual will. I have no idea who the people in lines 2 through 9 are. They haven’t come up in my research. Were they family members, friends, business acquaintances? I don’t know. I did a little research in the census but nothing jumped out at me. He left them pretty good money in 1923 terms. His grandchildren and great grandchildren received $20 which would be placed in a Savings Bank until they became of age. $20 must have been alot of money in 1923! His children got the “residue and remainder”. I could not find an exact amount of Thomas’ estate in the paperwork. In another part, it states that “the value of his said property is less than Ten Thousand Dollars”. To the unknowns at the top, he gave a total of $1800. there were 23 grandchildren and great grandchildren. Their part come to $460. I’m not knowledgeable about will. I’ve only seen two others. One was contested and listed every piece of real estate. The other left everyone out except his nurse and companion. So, I don’t have much to compare to! The last part is interesting to me. In the census, Thomas claims to be able to read and write. Yet, on this document he did the x marks the spot thing. It says “being unable to write”. He signed the will on the 13th of March and died on the 14th. So, unless the info. in the census was wrong, he was weak from illness. Like everything else, the will leaves me with questions. Who are the first few people mentioned and why did he include them? If they are mentioned, why not the descendents of his late brother, John Charles Jones? 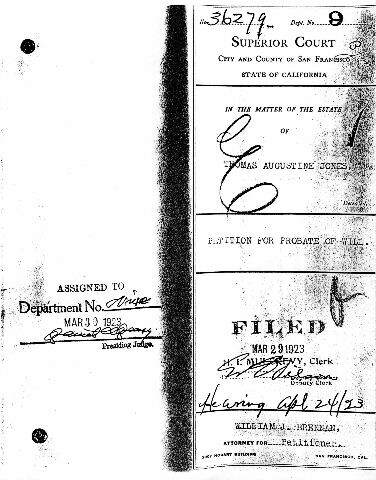 I’m glad to have this document for my great grandfather. I wish I could find more wills as they are a treasure trove of information.